In the grand scheme of sport, motocross is a tiny blip on the radar. Even now, with the pyrotechnics and the live TV coverage, it pales in comparison to the Goliathan following and consequent media presence of the NFL or NASCAR. But sometimes it’s the basic and fundamental complexion of motocross and those around it that makes it such a fascinating place to be involved. There’s a real community feeling around the pits, and strangers are treated like friends just because there’s a dirtbike in the back of their truck. And perhaps the coolest aspect of the motocross community’s kind nature: It is invariably the same, anywhere in the world. In the last few years, I’ve been lucky enough to see this in person all around the globe, from Brazil to Belgium, New Mexico to New Zealand. No matter where I’ve been, I’ve always been treated as part of the family, simply because I’m into motocross and so are they. However, it was on my last trip, to Zimbabwe, that I truly appreciated just how awesome this sport is and what an effect it can have on kids, families and, indeed, entire communities. Zimbabwe isn’t exactly known as a motocross powerhouse, and when I got the call to go down there, I must admit to being slightly shocked and a little bit apprehensive. However, I’m always up for something new, and the fact that I’d be accompanying three-time women’s World MX champion Stefy Bau certainly eased my mind. So why were we both flying halfway around the world? Now it’s not as if Africa as a continent hasn’t produced top-quality motocross riders before; I’m sure everyone is familiar with Grant Langston, Greg Albertyn and Tyla Rattray. All of them have been elite competitors in the world motocross and AMA series, but they also share three other similarities: They are all from South Africa, they are all white, and they are all men. 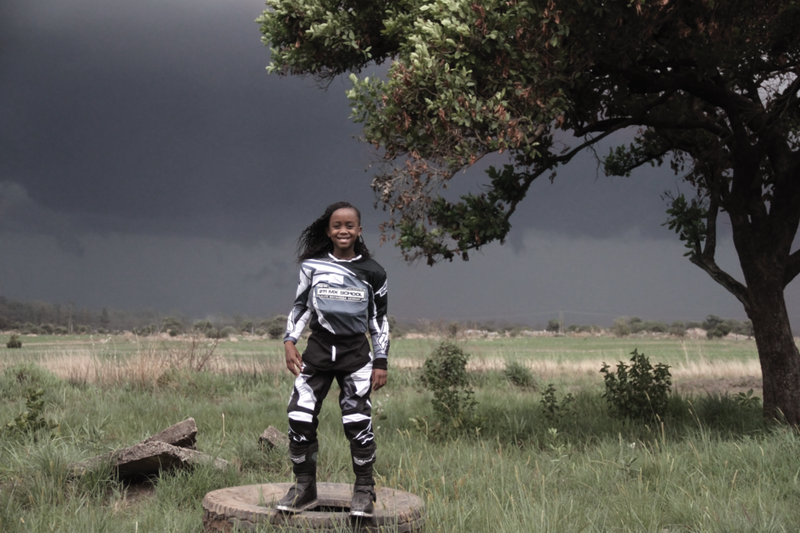 Now, without delving too deeply into the mercurial social, economic and cultural climates of the southern end of Africa, to have a 9-year-old black girl like Tanya Muzinda competing in motocross is a rarity. And to then have her actually beating boys her age makes her someone very special indeed — an anomaly well worth seeing in person. Also, even if we weren’t sure about the legitimacy of the trip before we arrived, the fact that we were greeted by the national press as soon as we got through airport customs cemented our belief that this was sure to be an extraordinary experience. It doesn’t matter who you are or what you look like; motocross can be for everybody. Muzinda is a fairly shy girl, so she was a bit blown away by all the fuss and attention that she received for the duration of our stay, but she handled it well. By the end of our time there, she had no problem speaking to anyone interested in her story. However, while the off-track stuff was certainly refreshing and a change-up from the usual national coverage that our sport receives, it was Muzinda’s ability on the track that was the reason for Bau’s visit, and it’s that ability that will be the deciding factor in how her career will turn out. Team Tanya had planned our trip to a T. Our visit coincided with the Zimbabwe Summercross Series, one of the biggest motocross events in southern Africa. Spread over four separate days of racing, it features two evenings of supercross and two days of motocross racing and attracts riders from Zambia, Botswana and South Africa—plus, of course, all the Zimbabwean talent, which meant that each class was relatively stacked. Muzinda ended up coming in second in her 65cc class, winning a couple of races on both the SX and MX circuits and showing everyone that her talent on the bike is worth all the publicity. It allowed Bau a chance to see her in action and help out with on-track advice as well as pre-race routines and day management, which can sometimes be just as important at that age. Obviously there is room for improvement, which is why Bau has invited Muzinda back to her house in Florida for this year’s Mini O’s, so she can race against different competition in a whole new environment, on a totally different track, and get to see what the standard of competition is like elsewhere in the world. The tracks of Zimbabwe are not fit to cultivate an international motocross prodigy for long; Muzinda will need to seek out competition elsewhere in the world. That’s not to say the standard of racing in southern Africa isn’t high: riders there have proven themselves on the highest stages of motocross competition in the world, from the MXGPs to Loretta Lynn’s. The tracks at Donnybrook are pretty decent, and although they could definitely do with a bit of sprucing up, the overall quality of the surfaces was good, even if the supercross landings were a tad on the short side. 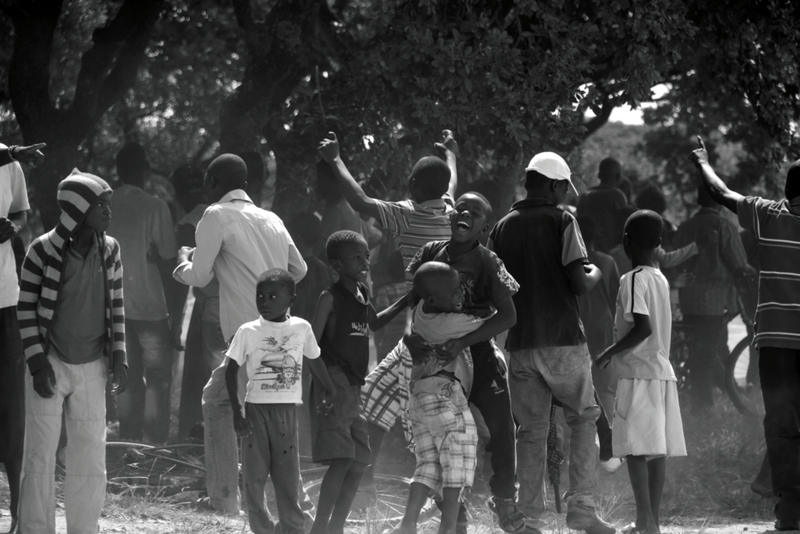 Perhaps the best aspect was the fans, as herds of them came across the fields to cheer on the Zimbabwean riders. In fact, the coolest (and most shocking) part of the racing was the final MX1 moto, when crowd favorite Jayden Ashwell was cheered on to victory by the throngs of supporters being kept off the track by female wardens hitting fans with sticks if they ventured too close to the action. It is the fact that fans and riders can interact so closely with one another that makes motocross one of the coolest sports to be a part of, and with a rider like Tanya Muzinda, there is a chance that she can become an important figure to help promote the sport to a whole new audience. This may seem a little premature, given her age, but her dream is to become the first African girl to compete at the highest level. If she remains under the tutelage of Stefy Bau, that dream just might become a reality. Purchase the entire collection of back issues!